This article highlights just three of the many ways in which short term business loan finance can help your organisation achieve your long-term business goals. Consider these points when assessing your options in raising cash for urgent short term business needs. Traditional bank lending practices and current SME business practices are becoming increasingly incongruent. This is part of the reason why small businesses and banks are often at odds with each other when it comes to lending – especially when needs are short term. Specialist short term business lenders break this mould - with speed. At its most basic, when you’re looking for a short term commercial loan, what you want is an easy application process and then access to funds quickly. A competent lender like Quantum Credit will give conditional approval of your application within 48 hours and short term loan funds can be settled within days of completion of diligence and signature of documentation – usually within two weeks. Although the cash flow cycle in business tends to be circular, there are always variations in the parts of the operating cycle - debtors delay payment, creditors change terms, stock becomes obsolete. Variations that arise through random unpredictable factors can be difficult to deal with and matching the temporary funding response to the type of working capital need is essential. The most common way to fund ongoing working capital is debtor factoring or invoice discounting. However, for urgent, unexpected working capital needs where debtor funding may be insufficient a short-term secured loan can prove valuable. Flexible terms and fast approval will enable you to work through unexpected crises or pursue fresh opportunities. If in reality your business needs a long-term solution, consider a short-term loan as a ‘transitional’ facility that takes pressure out of a crisis situation and buys you time for an uneventful transition to a long-term, mainstream funding solution. 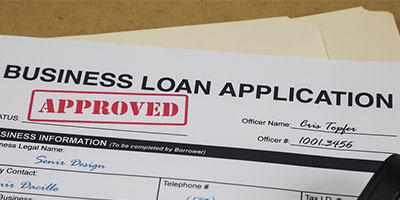 Short term business loans are just one type of the myriad loan solutions available in the finance and banking sector and as such they are essential in keeping the wheels of commerce moving. Properly utilised, a short term loan from a responsible short term lender like Quantum Credit can be the catalyst for long-term, sustainable success.